Taylors Farm Retreat on the Surrey /Sussex border is a beautiful rustic Grade II listed barn with parts dating back to the 13th century, and is a perfect venue for smaller, more intimate weddings. The farm is located in the village of Capel (five miles from Horsham and Dorking) and is easily accessible, being a fifteen minute car journey from Gatwick, forty minutes from Heathrow, and within thirty minutes from the major train stations in London. 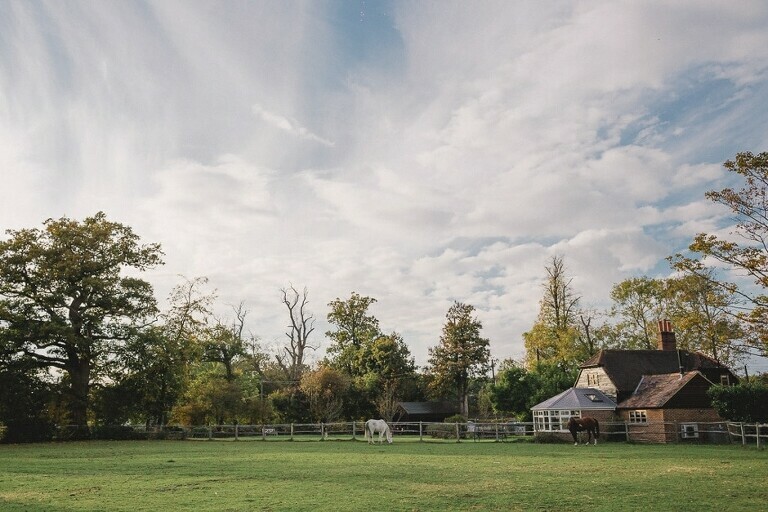 Taylors Farm Retreat is believed to be the oldest lived in hall-house, dating back to 1255, and is set in its own private grounds in the beautiful Surrey countryside. The large barn has been tastefully and sympathetically modernised and yet retains many character features including an oak screen and exposed moulded beams. Other rooms were added between the 15th to 18th centuries and these include a Medieval west wing, an impressive two-bay open hall, and an east wing with a stair turret. 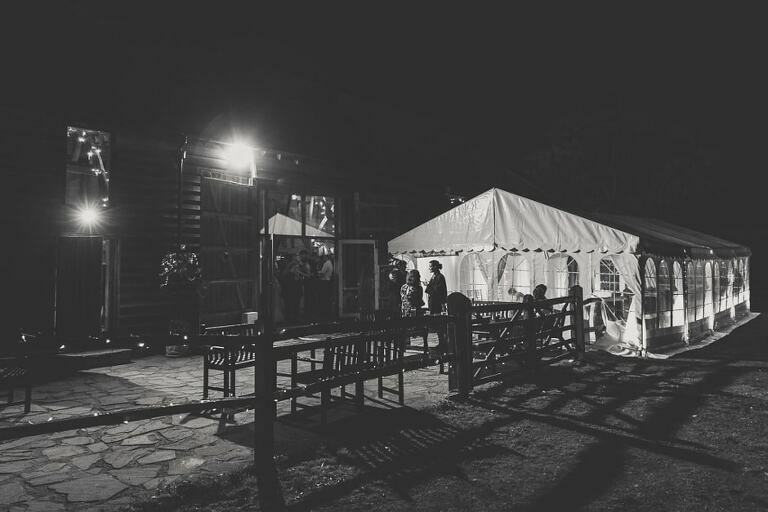 The beautiful unfurnished barn has under-floor heating and a variety of lighting options and allows you the freedom to put your own style and theme on your dream day – with very few limitations. Your friends and guests are bound to be amazed and are certainly guaranteed an enjoyable and memorable day. 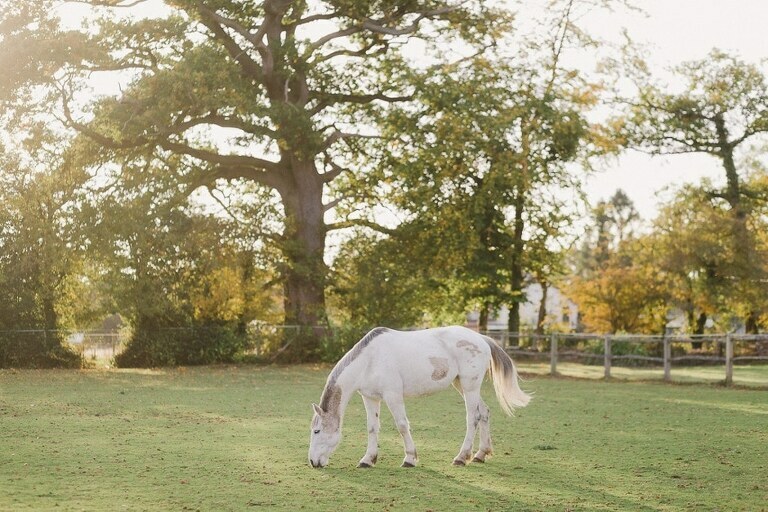 If you want to arrive at the venue in style and impress your guests, then Taylors Farm also offers horse and carriage hire for weddings. There is a range of horse drawn vehicles to suit all occasions, passengers and weather condition. To delight younger guests (and perhaps their parents, too), you’ll also find horses, cows, sheep, emus, chickens, ducks and geese – all of which create the idyllic rural retreat atmosphere and have appeared on a variety of TV programmes. Again, some wonderful photographic opportunities here. 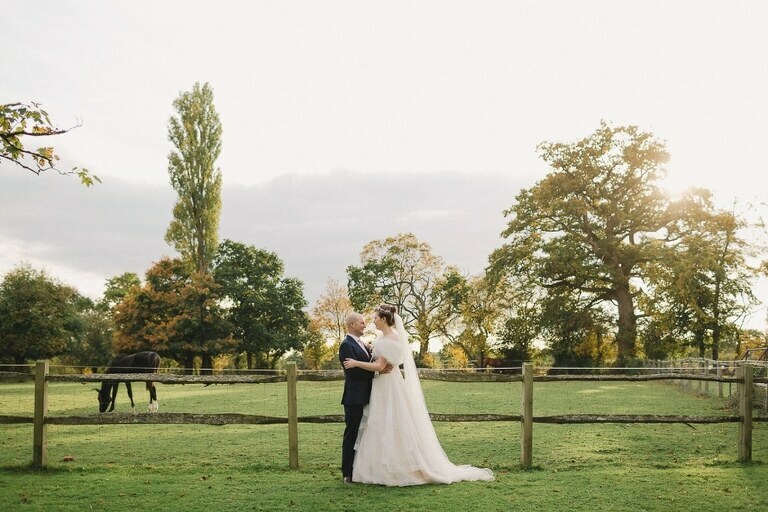 Exclusively yours for your big day, Taylors Barn is indeed an idyllic location for your wedding reception – providing many and varied backdrops for my stunning wedding photographs and lasting memories for years to come. Still not found your perfect wedding venue? Why not have a look at some of the other venues I’ve taken photos? Address: Taylors farm, Rusper Rd, Capel, Dorking RH5 5HF. If you’d like to enquire about my availability for Taylors Barn Retreat please get in touch here.